What are the possible outcomes of the case? And what are politicians saying about it? Read on to find out. As the Supreme Court (SC) reserved its judgement in the Panama Papers case after hearing arguments from all sides, politicians and analysts weighed in on the possible outcomes of the case. 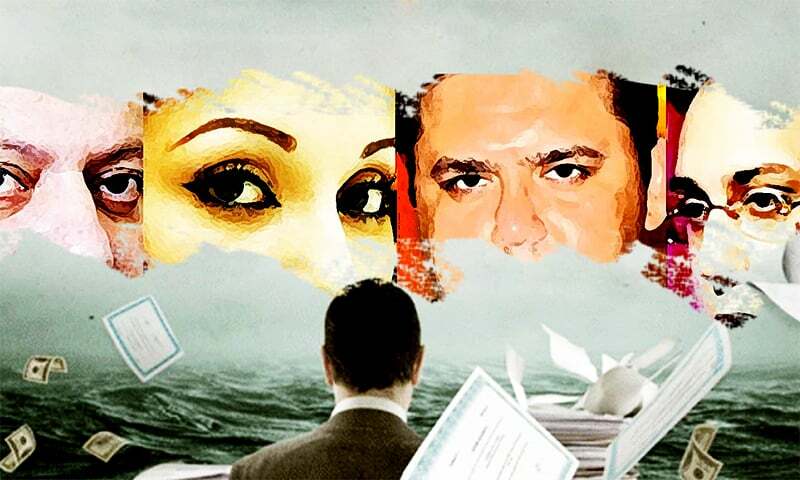 The long-drawn-out trial that began with the Panama Papers leak last year was followed by the formation of a joint investigation team (JIT) probe into the Sharif family's assets. A week after the submission of the JIT report, the SC resumed its hearings on Monday, deliberating over arguments presented by lawyers representing the defendants — the Sharif family and Finance Minister Ishaq Dar — and the petitioners; the Pakistan Tehreek-i-Insaf (PTI), the Jamaat-i-Islami, and Awami Muslim League chief Sheikh Rashid. The prime minister has the powers to dissolve the assembly without any reason, so he could take that route if he wishes. Provincial assemblies would remain in such a scenario, unless they too decide to dissolve themselves. But there is no problem in Punjab right now [so they might not opt for this]. All of this [the case] is based on financial irregularity. The Federal Investigation Agency (FIA) could be ordered to investigate [the case], by registering a First Information Report and submit its findings to the court. The petition was filed against PM Nawaz Sharif, Finance Minister Ishaq Dar and Captain Safdar, so if the decision is unfavourable for the defendants, it would be against these three and not Maryam Nawaz, as she is not an office holder. The chief of the bench, Justice Ejaz Afzal, has said that the court has not been satisfied so I feel that the case is going towards disqualification. Two judges have already said that the PM should be disqualified according to Article 184 (3). Although that was a minority judgement, it has persuasive value. Based on this and today's proceedings, I feel that a disqualification is likely. The first possible outcome is that the court dismisses the petition citing, among other reasons, lack of evidence in the JIT report. The second possibility is that the PM is disqualified through Articles 62 and 63 ─ the Sadiq and Ameen clauses ─ for contradictory statements, as well as unrelated offences of perjury or submission of false documents. Third, the court may send a reference premised on assets beyond means to the accountability court, in keeping with the defendants' arguments that a fair and full trial take place under Article 10A, a fundamental right afforded any citizen of Pakistan. That said, it is well possible that the court rules that due process concerns have already been met for the purposes of disqualification, and that a trial may occur in addition to, rather than in spite of, said disqualification. It was important to reserve judgement on the case (as opposed to a short order) because the SC needs to be very solid in its reasoning; for example, whether it chooses to disqualify the prime minister or to send the case to a trial court ─ because what the SC decides in this case will set a precedent for future cases. This will set a precedent because rather than approaching election tribunals, the people will directly reach out to the SC and ask it to disqualify future ministers and prime ministers on the basis of Article 184(3). 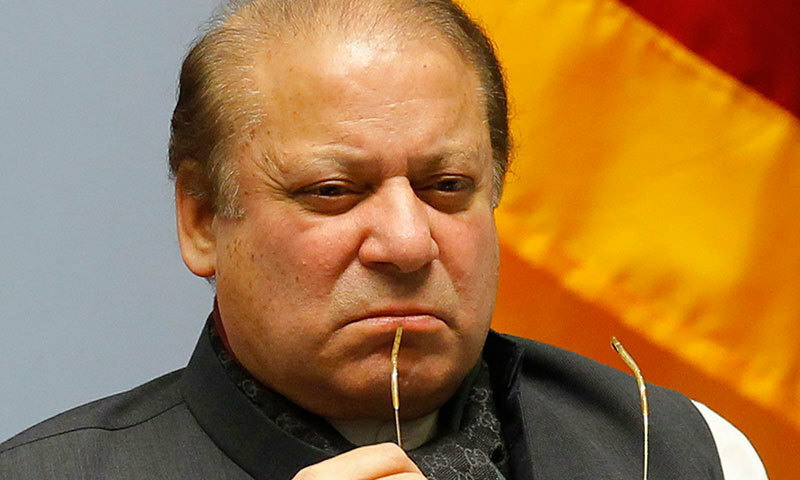 As a layman, it appears that there is no good news for Prime Minister Nawaz Sharif. Sheikh Rashid was correct in saying that the SC should become the protectors of the JIT because if they [Sharif family] are let off, no one knows what will happen to the the team's members. It is possible that the court believes Nawaz's fate has already been written, so it is better to proceed with the main judgement. For the first time we have seen that a law, which had been very effective against the weak, has now become effective against the powerful. Qatar's Sheikh Hamad bin Jassim bin Jabber Al-Thani did not come because he knew that the case was based on lies. We demand that the case should be decided according to Articles 62 and 63. The SC's decision is expected to be announced in a week or a maximum of 10 days. The Sharif family's lawyers did not tell the court how Hassan, Hussain and Maryam Nawaz became billionaires. Naeem Bokhari said in court that the PM has been continuously dishonest and has lied on the floor of the assembly, in the court and to the JIT. Honest leadership is required to lead Pakistan, which Nawaz Sharif is not. 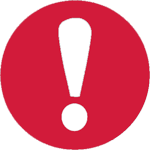 A strategy of pressuring and threatening is being followed. Had a PPP prime minister said what Nawaz Sharif said at the Lowari Tunnel inauguration ceremony yesterday, he would have been served a contempt of court notice. Come out and say in clear terms who you think is creating this conspiracy. we need to set a precedent so that in future anyone will think a thousand times before indulging into corrupt practices, or wealth beyond tangible source of income, my special Thanks to IK for bringing us together on Corruption issue, & in advance salute to JIT & Judges for making a better Pakistan This is a golden and probably final opportunity to get rid of Corruption Mafias once and for all. God have mercy on Pakistan. This whole case is a drama, common person does not have time to follow such news because he is busy thinking that whether there will be water, light and gas at home. 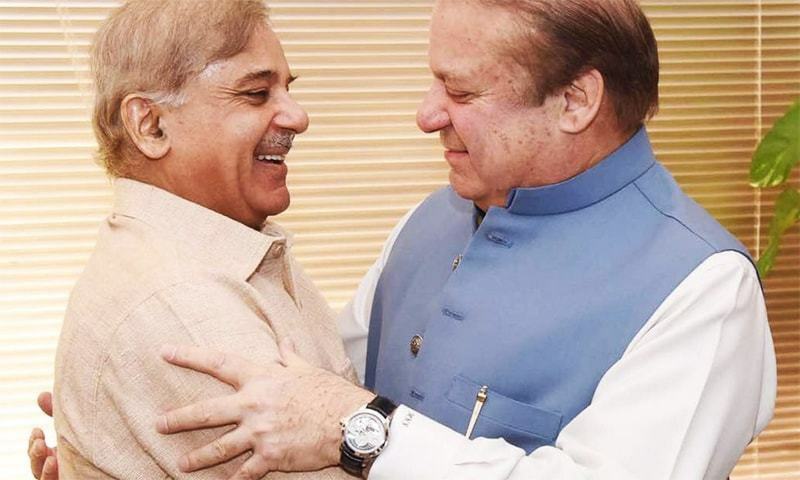 No matter if SC disqualify Nawaz Sharif but there will be someone else in his shoes in the next election, since 1947 until now very few leaders came into power who believed in dignity and honesty. I dont see Nawaz going away from his post aince there is no cencrete evidence to prove him guilty. However i do see maryam and hussain getting punishment for forging documents. Thats all. Nawaz will continue till end of his term. Maybe the accusations might cost him the 2018 election. Better late than never. Better a right decision after deliberations, than a hasty one which results in a paralysis of the government and all things in limbo. The hand writing is already on the wall. A wise person will see it and take the wise decision to bow out gracefully. Rather than be disgraced and dragged out, kicking and screaming after the verdict. One of the most important judgements in the judicial history of Pakistan is awaited. Its about time a precedent should be set proving Pakistan was not created for the corrupt Politicians, Landlords or Military Leaders to loot and rule the country. Accountability should be for everyone, not just for the poor and underprivileged people. No one is above the law. Time for the country to choose the right Leader who can lead the country to education, harmony, peace and prosperity. The world is watching and Pakistan's future engagement and trust with international trading and financial institutions is at stake if corruption at the highest level of government is not checked in time. With a right decision that puts a good impression of the rule of law in Pakistan in this matter, trust will be enhanced and lead to a better economic outlook for Pakistan in future. There is no reason why Nawaz Sharif is kept in office as he has betrayed the trust reposed in him by the people of Pakistan. The only "honourable" route left for Nawaz Sharif is to step down. Justice must be "seen" to been done. And if Sharif and family including some of his close aides go scot free, then this would be the darkest hour in the history of the Nation. Then we would have lost faith in the law of the land and its judicial system for all times to come. Politicians with big speeches and slogans, collecting tax payers money but showing no progress for clean water, electricity, medical for poor, schooling for poor children (child labour), city streets pot holes, garbage poor highways and high level of unemployment as well as high crime rates. No matter who is in power, general public keep suffering. Oh' what a democracy. Right at the start of the case judges said that this will be historic case. Judges had smelled foul play which is so obvious even a lay man can say that such wealth can not be accumulated without foul means. If powerful get out of hook in this case, God save Pakistan. We should remember that this whole case is related to money laundering which was done by Mian Shareef in the year 1974 about 43 years ago. There is no current alligators in this case. From the very first day,it seems a fixed match.if precedent set under article 62.63,we will need aliens to rule here because no sadiq and ameen exist in current politics. How the court will draw a line between article 184 (3) 10A and theory of separation of powers and future Pandora box. How it will come out of the parameters set in Arslan iftikhar case. Yet to be seen. Minority judgement hanged Z A Bhutto, why the same can not be applied in the disqualification of the Prime Minister who is exposed of wrong doings.